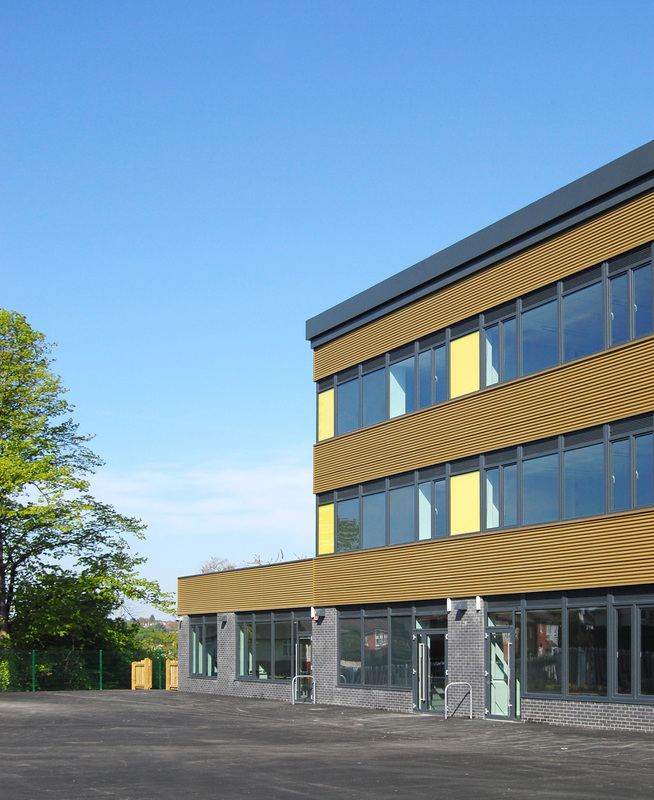 Temple Learning Academy is a new free school located on the site of the former East Leeds Leisure Centre. 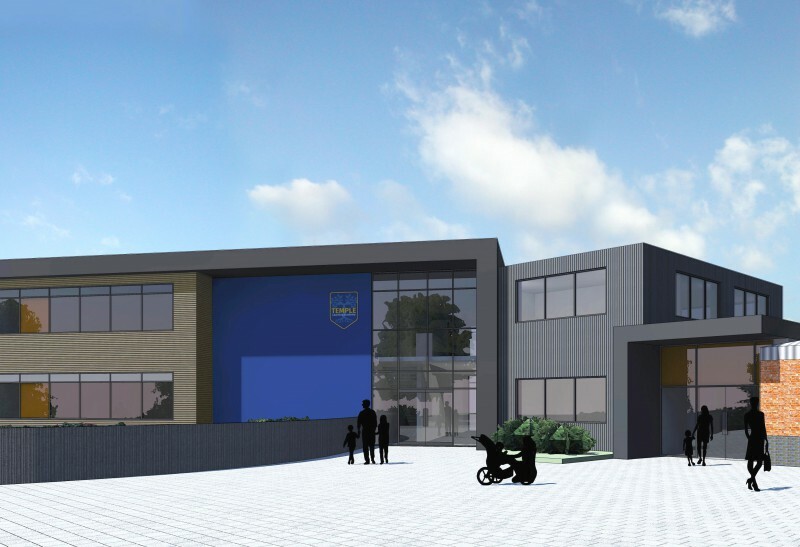 The new Academy at full capacity caters for 1020 pupils aged 4 -16 years operating under a 4 year group phase through-school model. 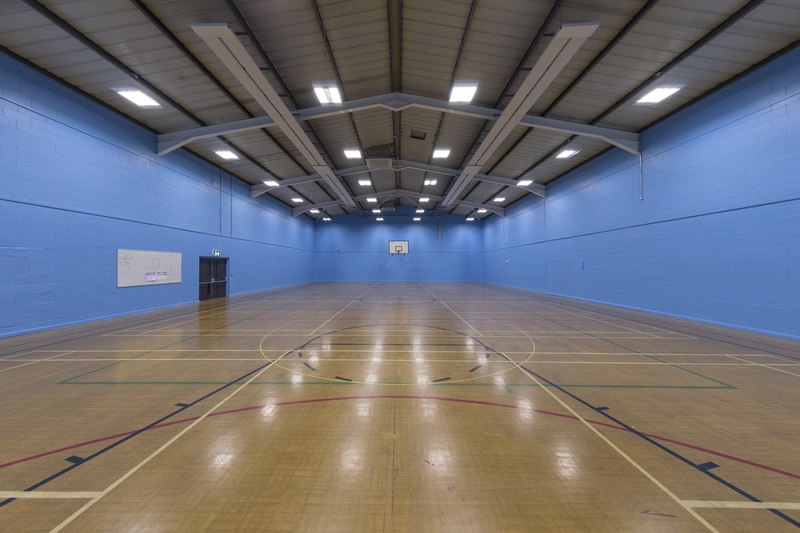 To meet the demands of the client brief the proposals encompassed a part refurbishment and part demolition of the existing East Leeds leisure centre together with a major new built teaching block and associated landscape works. 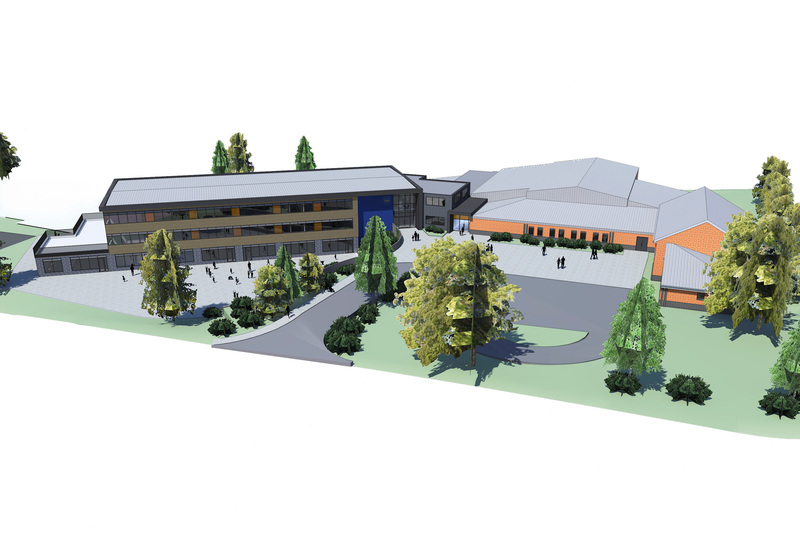 The design solution retained majority of the existing sports centre with the swimming pool hall being demolished to make way for a new 3 storey general teaching block. 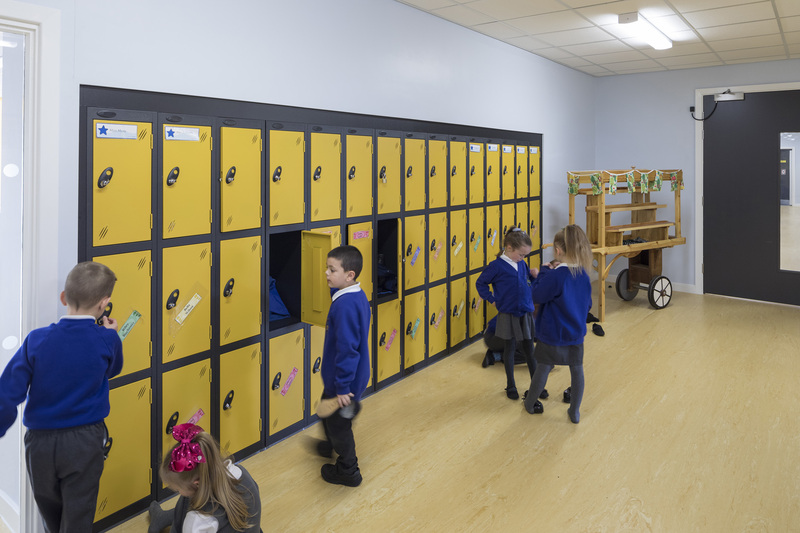 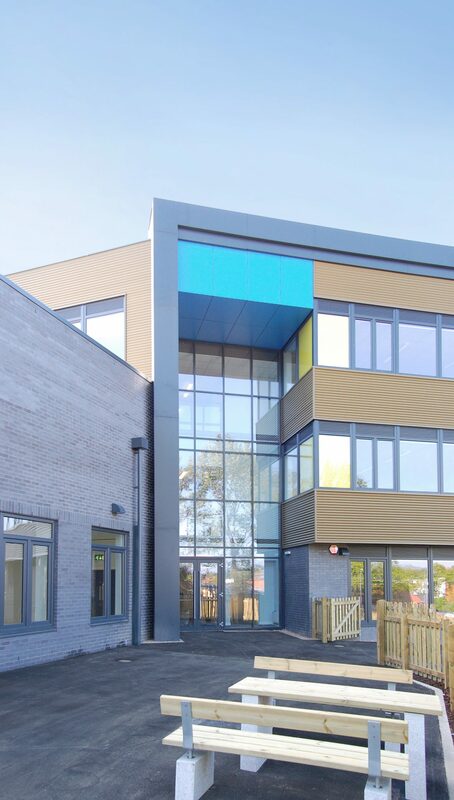 The teaching block accommodates Phase 1 and 2 pupils (Reception through to Year 4) on the lower ground floor with direct access to the secure external play and learning spaces. 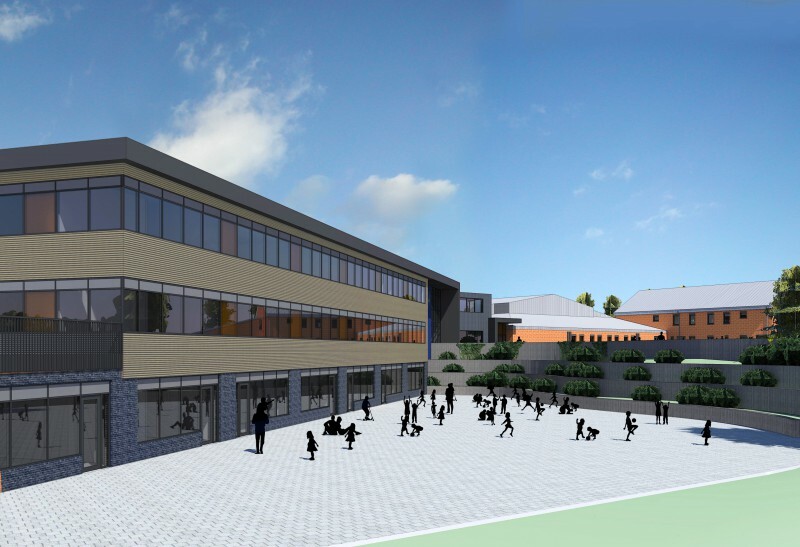 The Ground and 1st Floor houses pupils in Phase 3 and 4 respectively allowing for a clear separation between the teaching groups. 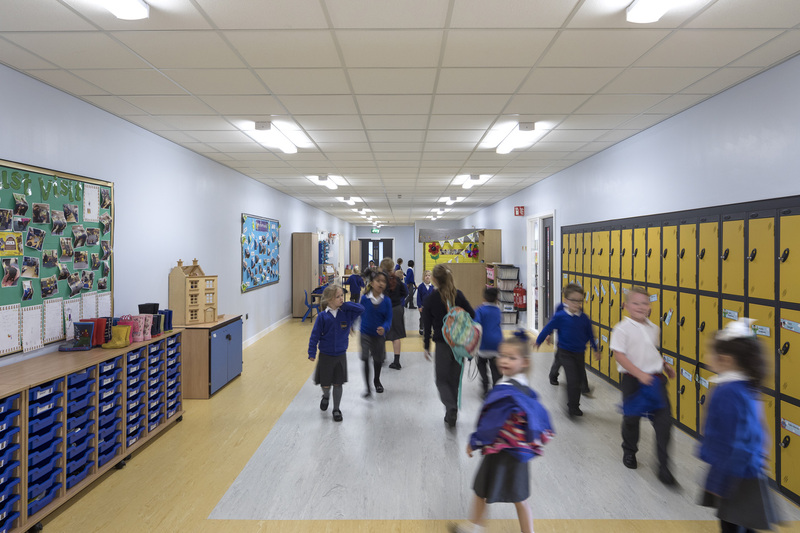 The stacked design with a central corridor allows for a very efficient floor plan and construction phase maximising the build value. 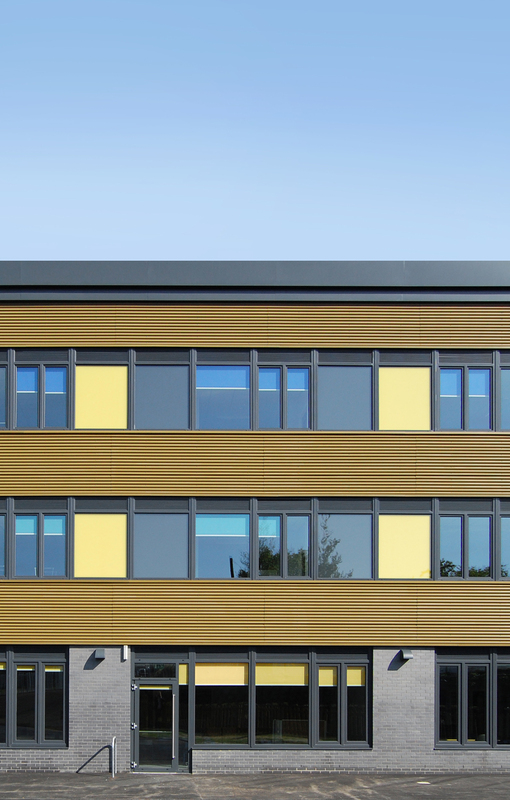 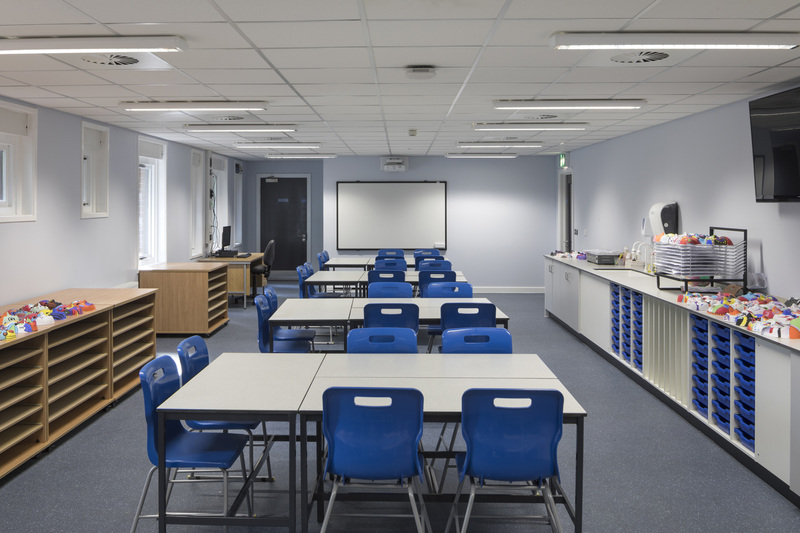 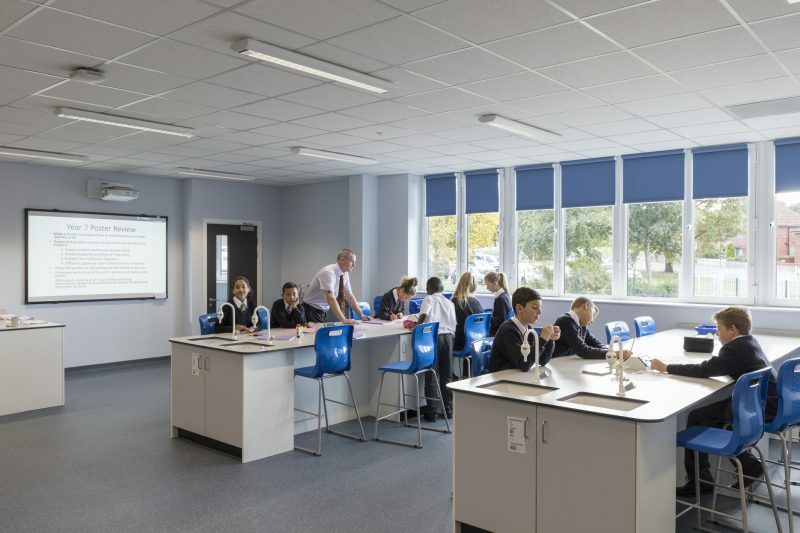 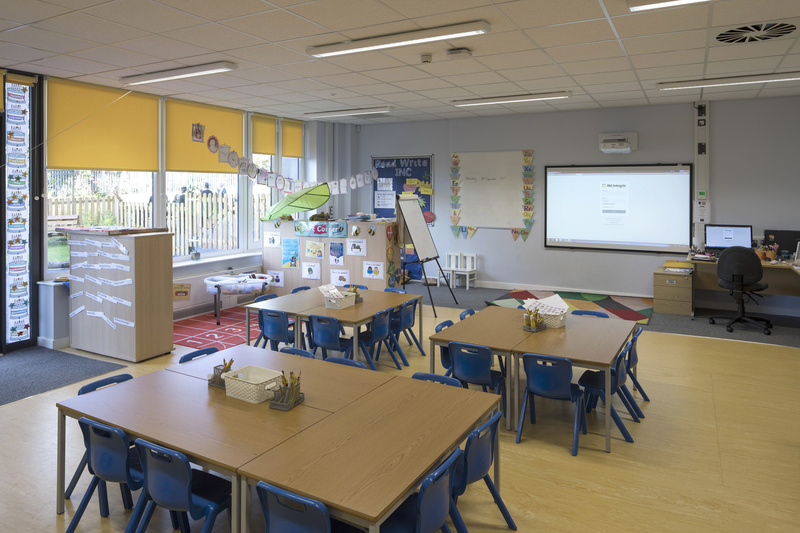 The elevations feature a band of ribbon windows to maximise the day lighting in the teaching spaces as well as providing a striking design feature. 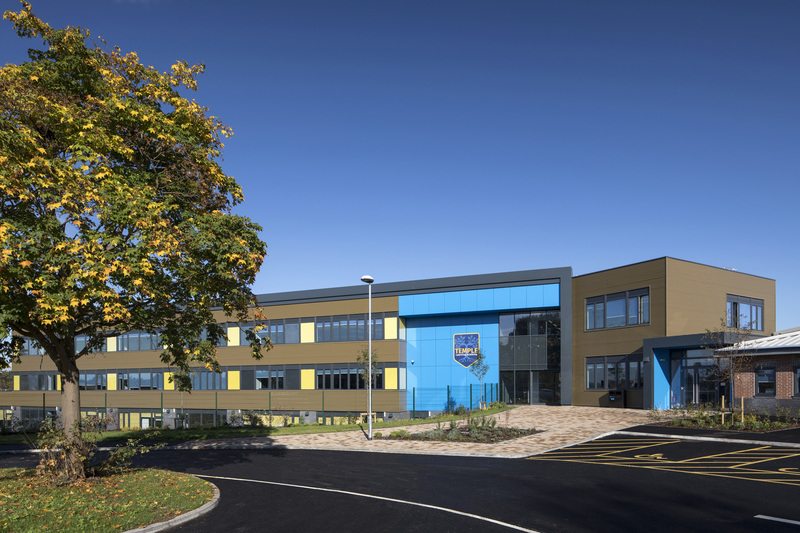 The Academy is a central for community use in the local area. 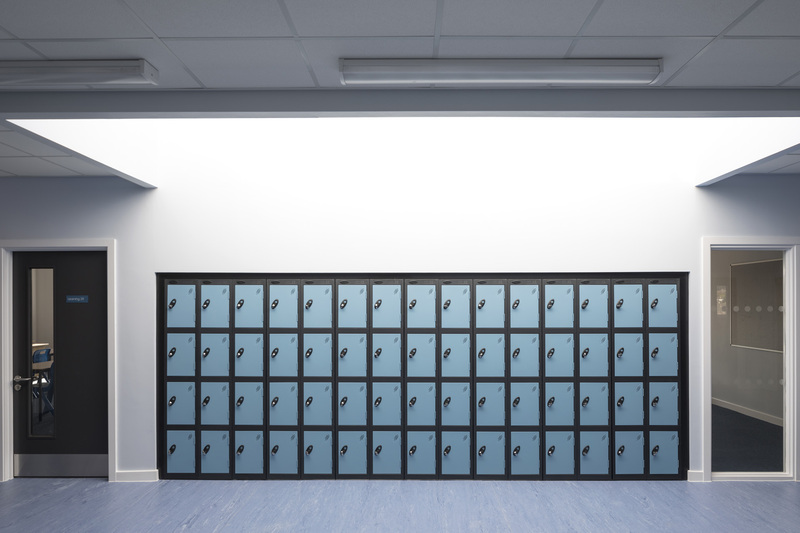 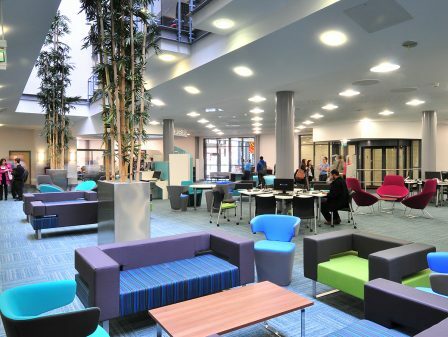 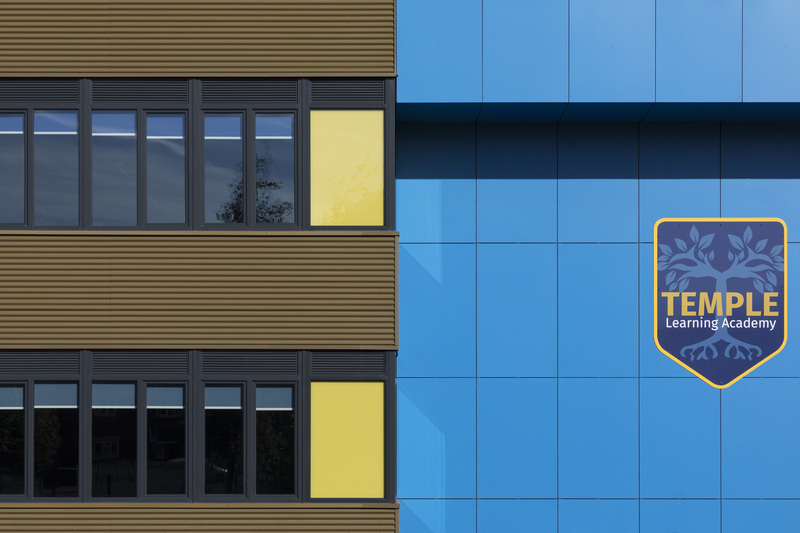 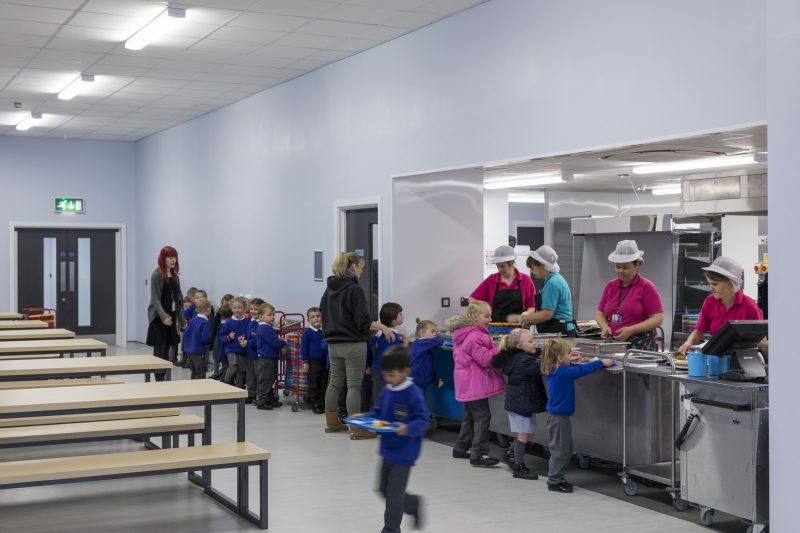 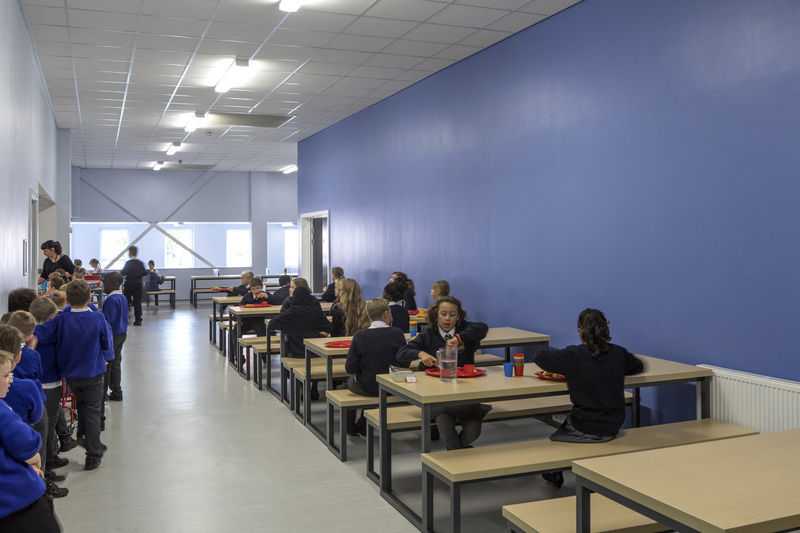 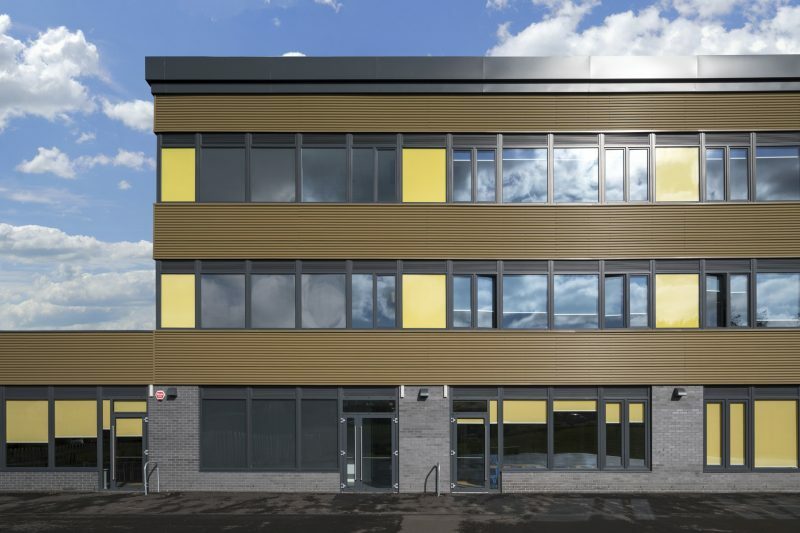 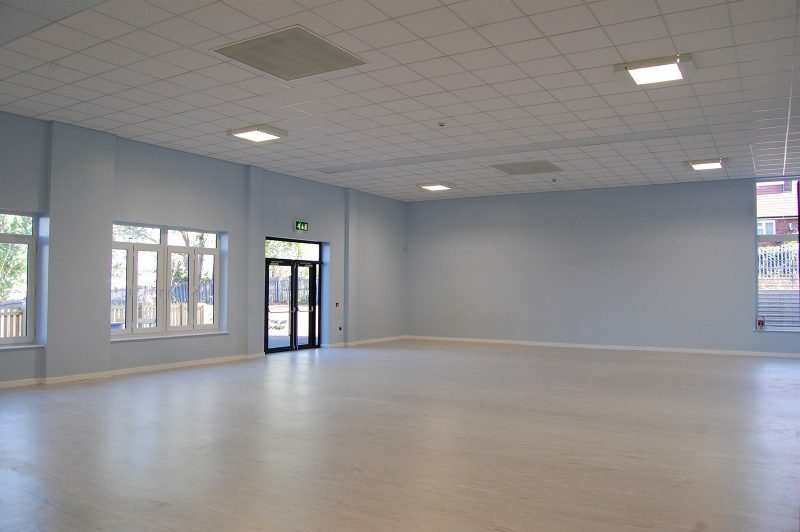 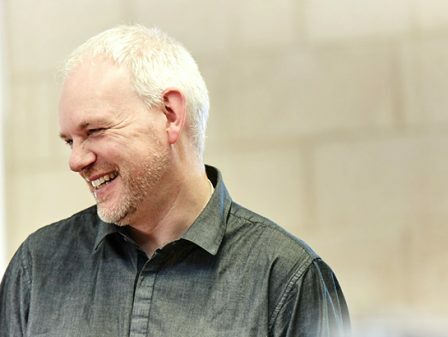 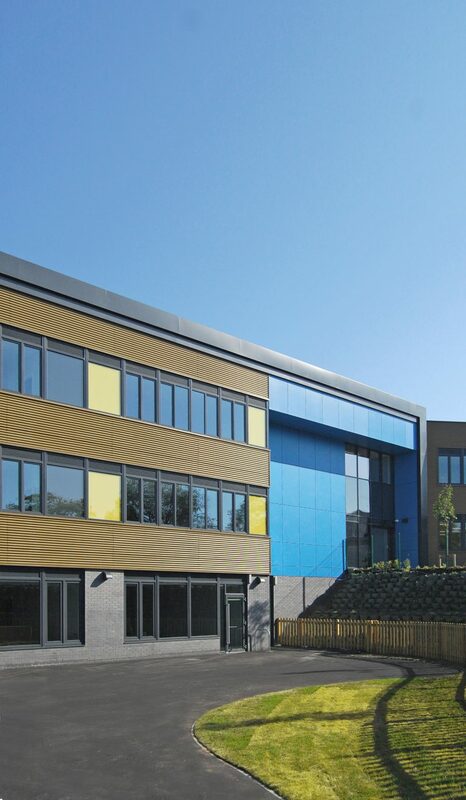 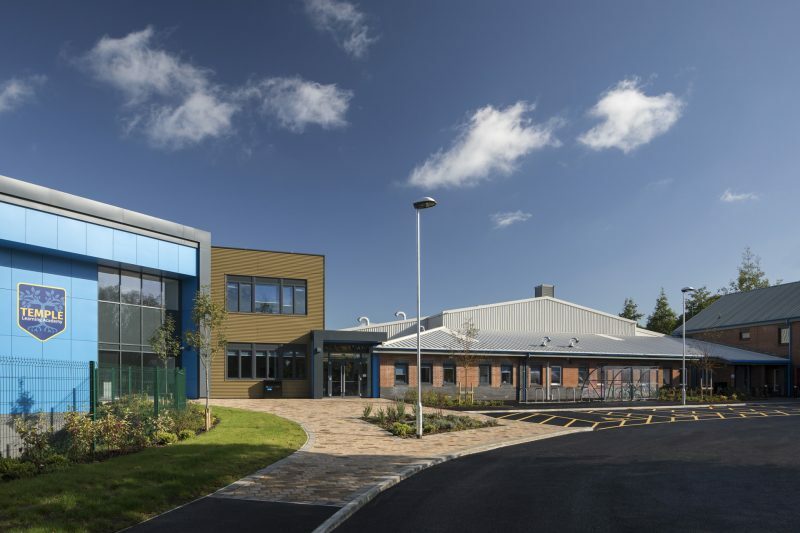 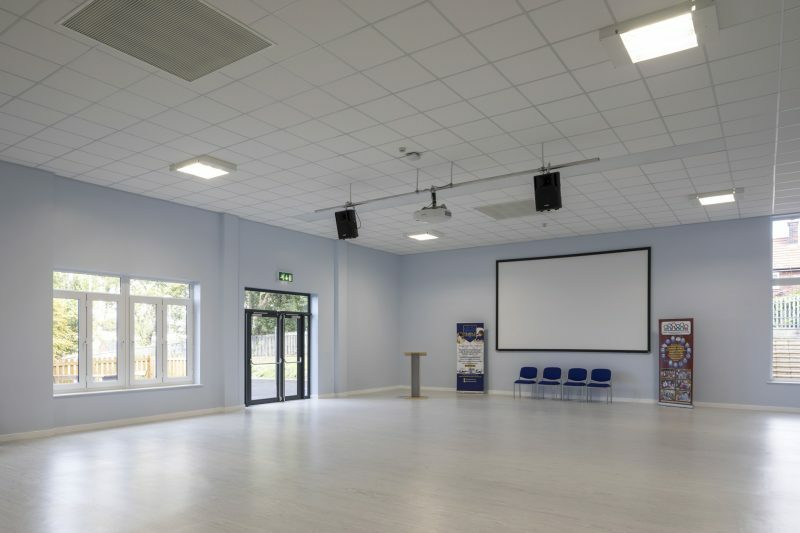 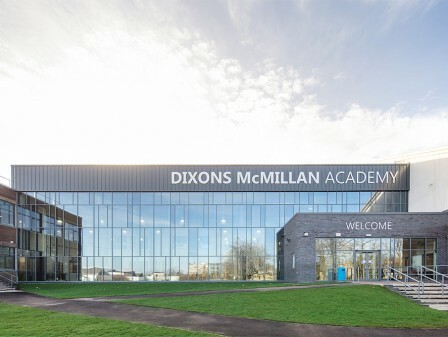 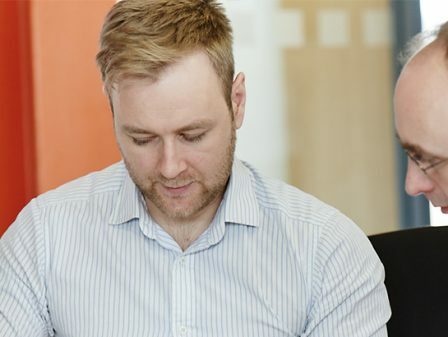 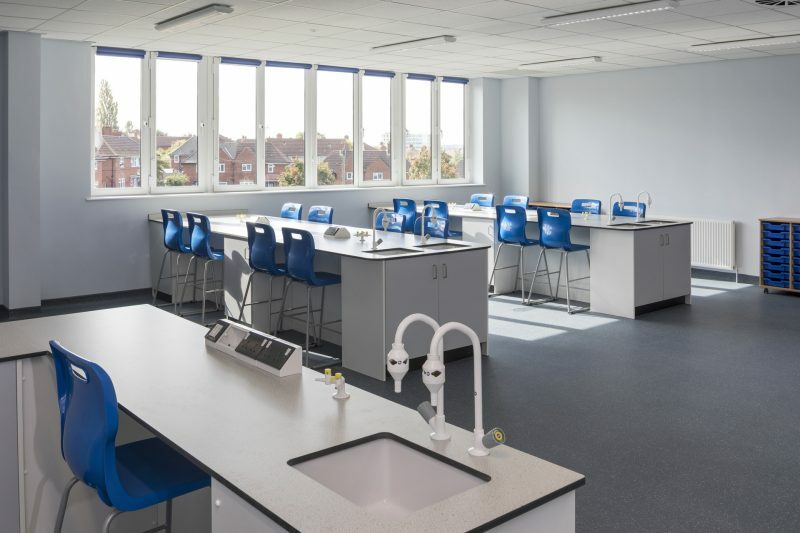 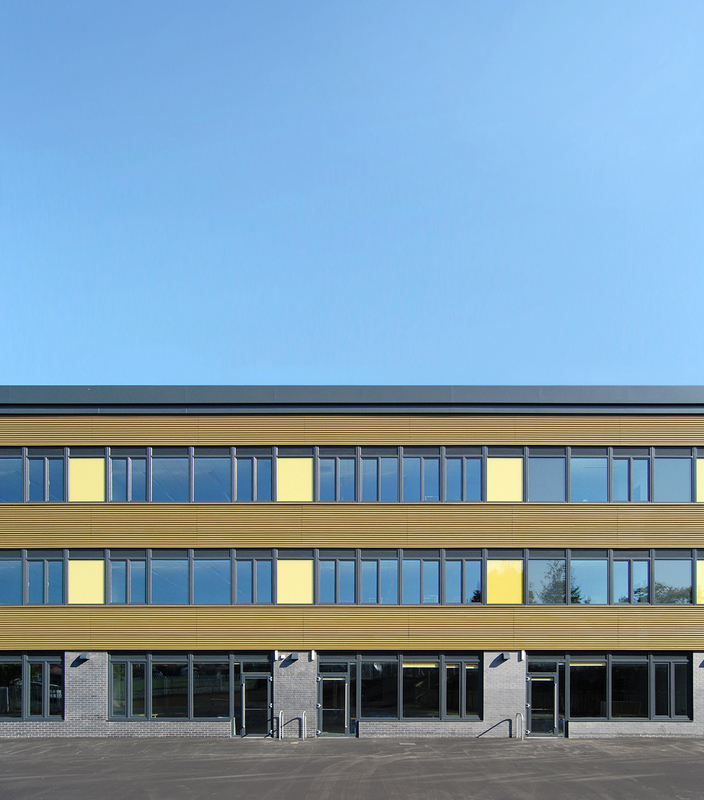 As a consequence the main communal spaces; dining, assembly, sports and learning resources are located within the existing building are at the heart of the school and can be securely segregated from the main teaching areas for dual use of the building. 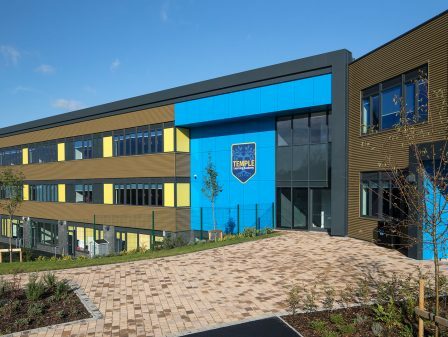 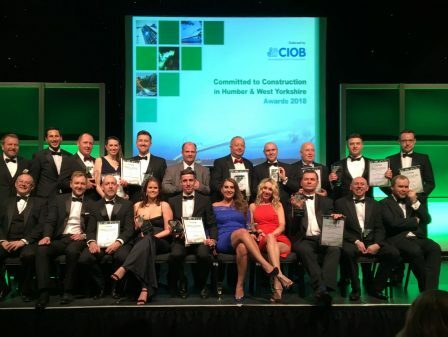 The project was completed in May 2017 and since the handover of the site to the Academy, there has been a string of award successes associated with it. 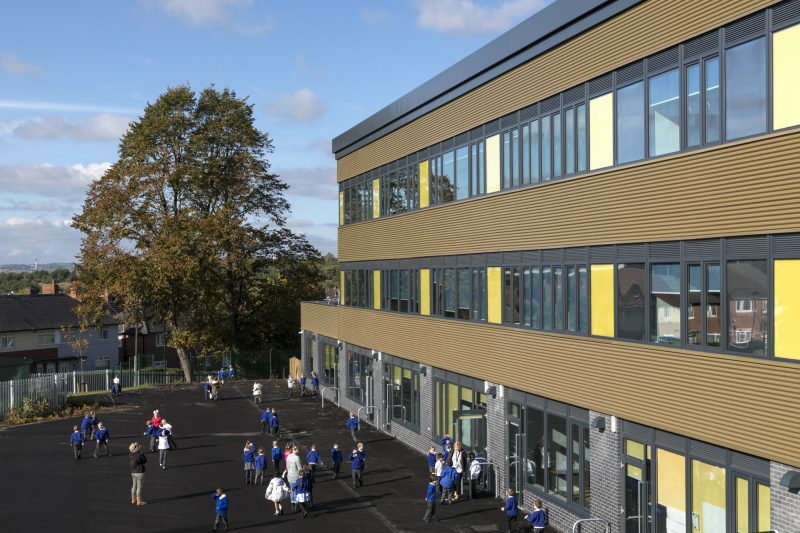 Externally the challenging topography provides a variety of learning sport and social activity spaces.